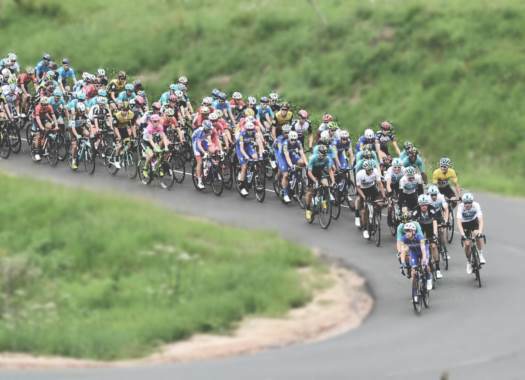 The short news of the day includes new signings, riders that crashed out of races, a La Vuelta a España possible participation and contract extensions. The signing of the Belgian rider is the first reinforcement of the team for the 2019 season. The rider leaves BMC after four years to join a team of his own country after receiving offers from different formations. "I could have stayed with BMC and also received offers from World Tour teams. But I see that Wanty-Groupe Gobert is growing and the positive feedback has convinced me. It is a good thing to become a member of a Walloon team with Walloon partners. This project is growing every year and presented a great opportunity." The Dutch rider of Sunweb crashed during the fourth stage of the Tour de Pologne and suffered multiple fractures. "Worst crash ever (and I had a few already) today at Tour de Pologne, hit a team car in the final descent and went down at 80 k/h," explained the rider through his Twitter account. "Eventually I step away really lucky with 'just' a broken collarbone, broken vertebra and some bruised ribs." Peter Sagan (Bora-hansgrohe) published a cryptic tweet that simply said: "Hola España (Hello Spain" and a picture of him showing his rainbow jersey. The official Twitter account of La Vuelta retweeted the message, which could point out at the appearance of the World Champion in the Grand Tour. This would be the fourth participation of the Slovak in the Spanish race, after being there in 2011, 2014 and 2015 and taking the victory in four stages. The French rider joined the team in 2006 and he is set to stay until at least 2020. The rider's palmares includes victories at the 4 Jours de Dunkerque, La Poly Normande, Boucles de l'Aulne-Chateaulin, as well as stage wins in races like the Tour du Limousin and the Tour De Wallonie.